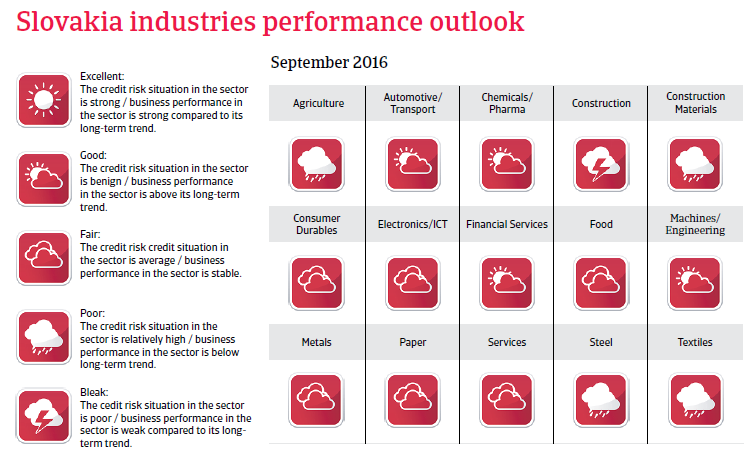 Growth is expected to remain above 3% but the economy remains vulnerable to an eurozone downturn and adverse developments in the automotive sector. In the March 2016 general elections, which were mainly focused on the European migrant crisis, the ruling social-democratic Smer-SD party lost more than 15% and its absolute majority in parliament, mainly at the expense of nationalistic and right-wing parties. Despite the loss, the Smer-SD remained the largest party in parliament and formed a coalition government with the nationalistic SNS party, the liberal conservative Most-Híd and the centre-right Siet´(network) party. The Slovakian economy grew 3.6% in 2015, driven by consumer spending, business investment and government consumption. 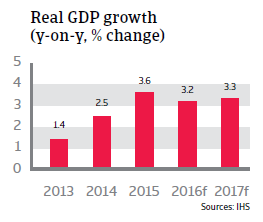 Growth is expected to remain above 3% in 2016 and 2017 (3.2% and 3.3% respectively), driven by continued robust domestic demand and exports to the eurozone. Private consumption is forecast to continue to be one of the primary drivers of economic expansion. The labour market shows strong improvement, with the unemployment rate expected to decrease from 14.2% in 2013 to 10.1% in 2016 and 8.8% in 2017, mainly due to improving domestic economic conditions. Government finances are stable with the budget deficit being kept below 3% of GDP since 2013. The budget deficit is expected to decrease to 1.9% in 2016 and 1.5% in 2017. 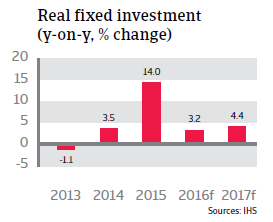 Long-term government bond yields have decreased rapidly over the past four years, reducing debt servicing costs for the government. 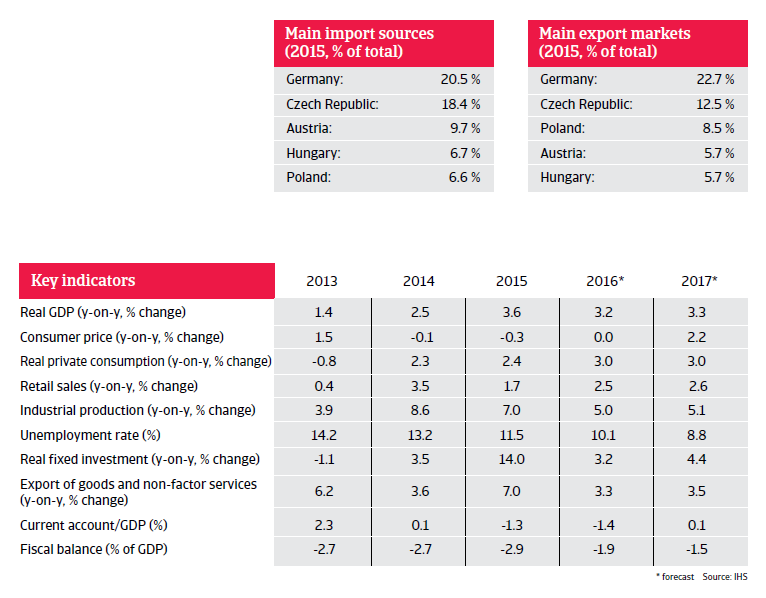 Slovakia´s external economic position is solid. Exports and imports are well balanced and both growing. The current account deficit is expected to increase slightly in 2016, but is forecast to turn into a surplus in 2017. At the same time, Slovakia´s foreign debt level is low. As the Slovakian economy is heavily reliant on industrial exports, (especially automotive related) the eurozone and Germany in particular, it remains very vulnerable to eurozone downturns and/or adverse developments in the automotive sector (e.g. the Volkswagen emissions-rigging scandal).